travel in and around Nagato City. Please be aware that some locations are accessible only by car (rental or taxi). 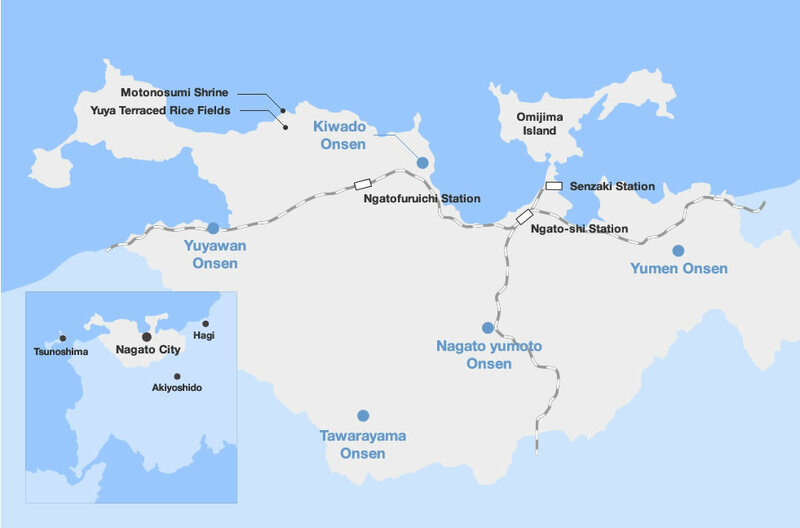 Two train lines run through Nagato: the Mine Line, which runs from inland Yamaguchi Prefecture to the coast in Nagato; and the San’in Main Line, which runs parallel to the Sea of Japan from Yamaguchi to Kyoto Prefecture. Trains in Nagato are somewhat unsual in that they run on diesel rather than electricity, which gives their orange engines a unique growl as they run along the brilliant blue of the coast. Many of Nagato’s train stations are unmanned, and passengers deposit their fare as they would on a bus. Nagato-shi Station, however, is staffed. 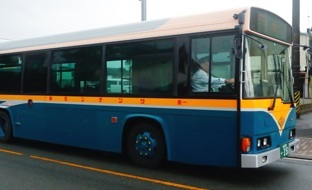 3 bus companies currently operate within Nagato. Though it isn’t possible to reach all parts of the area by train, bus service here is convenient. When you ride, please take a ticket from the machine when you board the bus, and pay at the front when you get off. 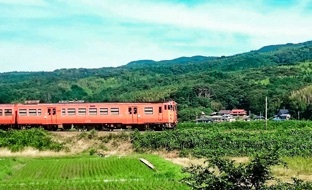 Because there are a number of sightseeing locations in Nagato that are unreachable by either bus or train, riding a taxi from the closest station or bus stop is a convenient choice for many visitors. Many taxi drivers use tablets and other devices to provide multilingual services to their passengers. 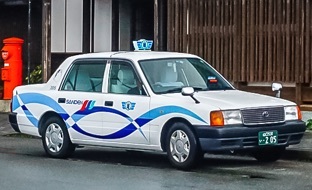 Jumbo taxis are reccommended for visitors traveling in groups. Access to Motonosumi Shrine and Senjojiki is available only via taxi or rental car.